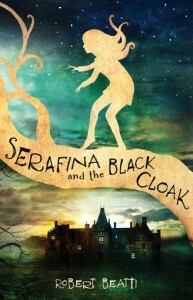 Serafina and the Black Cloak is the first book in the Serafina trilogy. 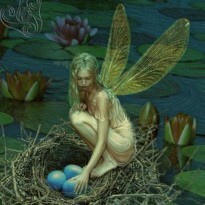 Serafina is determined to rescue the children taken by the man in a black cloak. Plot 5/5: A good mystery that kept me guessing. Characters 5/5: Interesting characters who I grew to love, and others I disliked quite a bit. World building 5/5: This story is set in the Biltmore Estate and the surrounding areas. I had never heard of this place, but after reading this story, I would love to visit. Pacing 5/5: The pacing was fairly quick, with slower parts here and there. Writing 5/5: The author's writing is very good, and the story telling kept me entertained. Overall 5/5: I really loved this story. It's a mystery, but also a story of acceptance and finding out who you are, where you're from, and where you fit in. "Our character isn't defined by the battles we win or lose, but by the battles we dare to fight." - a grave marker in a cemetery. Favorite characters: Serafina, Braeden, Gidean, and Waysa.